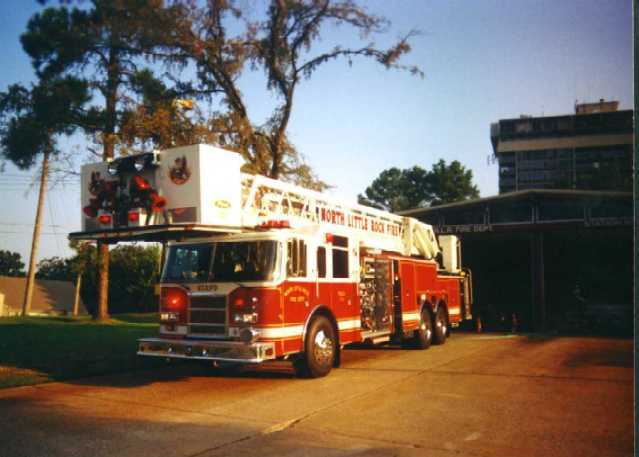 Note: There have been three Former NLRFD Stations Designated as Station 2 on East Broadway. ORIGINAL STATION 2 AT 2301 EAST BROADWAY Photo Needed! This was a building that was leased from an individual. looked like an old repair garage, etc. that was converted to a fire station. Station 2 closed in 1992. Much of the industry in NLR had moved westward by then.